Amazon has more than 350,000 full-time employees worldwide, and hundreds of thousands more who work in part-time seasonal positions. Many of these jobs involve warehouse handling billions of items that are shipped out annually. These workers manage inventory, label products, break bulk packaged materials into singular items, fulfill orders, load trucks and handle return shipments daily. Amazon operates two distribution centers located in Chicago and Morton Grove Illinois, and five fulfillment centers in Joliet, Elk Grove Village, Wood Dale, Romeoville, and Monee. Warehouse work has its risks, even when the employee is performing simple, basic essential tasks. Being hurt or killed on the job inside of a warehouse is a serious but common problem, especially when heavy machinery, forklifts, extensive overtime, falling and faulty equipment/shelving are involved. For years, the multiple Amazon fulfillment centers throughout the Chicago metropolitan area have made the news with stories of mistreatment of warehouse employees in numerous ways that resulted in overexertion, long hours and workplace injuries. Even though employees inside Amazon warehouses are often pushed hard beyond their physical limits, many often question their job security daily. This is because their work performance is closely monitored by supervisors and managerial staff members. Some complaints by employees have revealed fast-paced work inside Amazon fulfillment centers and warehouse that places the worker at risk of injury if employer-set goals are met or termination of employment if the worker is unable to maintain the pace. Injuries occurring from falling objects, slip and falls, overexertion, forklifts, trucks and working on loading docks are serious work-related issues at Amazon. Forklifts used to load and unload trucks by elevating pallets of cargo and moving in it on-and-off the loading dock platform can create dangerous situations involving unprotected employees working around the heavy equipment. Any job involving heavy manual lifting can create overexertion injuries when significant stress is placed on the body by pulling, pushing, lowering, and/or carrying products, goods, and materials. Some individuals working at Amazon have been hurt after being hit by objects when inventory shifts, loads fall, or equipment fails. These types of injuries are often serious and some result in death. 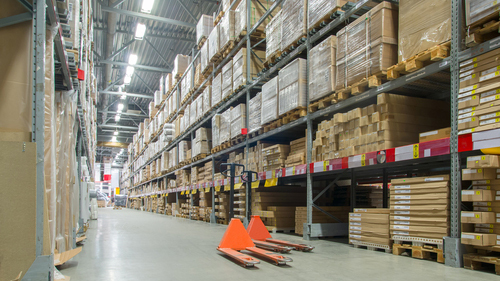 Wet or slippery areas and uneven floors are common areas inside the warehouse that can cause an unexpected fall injury. Other workers are injured when they trip over empty pallets, containers, debris, or spilled inventory that produce dangerous tripping hazards. Poorly lit areas inside the warehouse can make it extremely challenging for a worker to avoid any potential pitfall or obstacle in dark areas. File for Worker’s Compensation Benefits– The State of Illinois mandates that large corporations, like Amazon, participate in the state’s Worker’s Compensation insurance program. This strict liability insurance program provides a financial remedy for employees who are injured on the job in an accident or because of exposure to harmful toxins, chemicals, or materials. This also extends individuals who become ill due to a job-related incident or event. While Workman’s Comp provides financial benefits, the amount of compensation is strictly limited to pay related medical bills, time away from work and/or temporary or permanent disability. This means that the injured employee must file a work injury claim through the program against their employer to obtain financial recompense for their damages. However, the employee is prohibited to file a lawsuit against their employer for other damages including pain, suffering, mental anxiety, and punitive damages. However, filing a claim for compensation to the Workmen’s Compensation program provides a quick remedy without needing to prove that the employer contributed to the victim’s injuries or did something wrong that caused the employee harm. The program provides financial benefits to cover temporary or permanent disability or other remedies including death benefits if the victim was killed as a result of their injury or exposure. File a Personal Injury Claim– While the victim cannot typically sue their employer for additional compensation if they apply for workmen’s compensation benefits, there may be other parties at fault for the accident in the workplace. An attorney working on behalf of their client (the victim) may determine that a third-party entity like an outside vendor, forklift manufacturer, or outside janitorial service company was totally or partially at fault for causing a hazardous condition, slippery floor, or defective equipment that resulted in the victim’s injury or death. Whether an employee is a permanent full-time or temporary part-time worker at Amazon, working one day, one hour, or a full week, their health and well-being are still protected under Illinois Worker’s Compensation laws if injured or killed in a job-related incident. In July 2012, a lawsuit filed in federal court in Pennsylvania was finally settled out of court. The case involved Amazon and Paul Grady, a warehouse employee who held the job at the Amazon Fulfillment Center in Allentown Pennsylvania. Mr. Grady, the plaintiff in the case, said that an alarm sounded at his workplace, the Breinigsville Amazon warehouse, during the night shift, which forced every employee to evacuate the premises. The extremely cold temperatures were frigid outdoors where the employees were left standing outside the building without coats for hours. The plaintiff reports being especially sensitive to the cold climate of the nightmare because he suffers from a heart condition and chronic joint pain. While remaining outdoors, Mr. Grady spoke with his superior after some managers had reentered the building. The plaintiff stated that because of his disability he needed to go inside, away from the frigid air that was causing him to be distressed. The manager denied his request, forcing him to stay outdoors for approximately 1 hour and 45 minutes. Mr. Grady was one of a few employees who needed medical attention after being exposed to the frigid temperatures. At the hospital, the emergency room doctor treated the plaintiff with a shot of morphine to control his pain. The lawsuit alleged that the Amazon Building Safety Worker working the night shift that night instructed Mr. Grady to lie about his job-related hip injury to emergency personnel, by stating otherwise. This was not the first time that the Amazon Allentown Fulfillment Center warehouse was in the news. A story in the local Allentown Morning Call Reporter story revealed that Amazon warehouse employees were working in indoor temperatures in the summer months that were so hot that ambulances were transporting warehouse employees to the local hospital for heat exposure. It was also revealed that three former employees working at the Campbellsville Kentucky Amazon’s Fulfillment Warehouse were pressured to not report injuries to OSHA (Occupational Safety and Health Administration), as required by law. January 2016 [$7000 penalty]– OSHA issued a hazard alert letter and citation on December 21, 2015, citing an Amazon fulfillment services center “for not recording 26 incidents of work-related injuries and illnesses as required”by regulations enforced by the Occupational Safety and Health Administration. At the time of the proposed penalty and issued hazard alert, the Director of OSHA’s Marlton Area Office Paula Dixon-Roderick stated that “failure to properly record occupational illnesses and injuries is hazardous to workers. The lack of accurate data can mask patterns of injuries and illnesses that could help uncover conditions with the potential of putting workers at risk.”That same month, Amazon announced it was planning to contest the proposed $7000 fine and citation. June 2014[$6000 penalty]– The Occupational Safety and Hazard Administration (OSHA) investigated the deaths of employees at two warehouses. One occurred in June 2014 at the Carlisle Pennsylvania Fulfillment Center when 52-year-old Jody Rhodes succumbed to multiple blunt force injuries when operating a motorized pallet jack that collided into warehouse shelving. If you have been injured on the job, it is essential to hire a competent experience personal injury attorney who has a comprehensive understanding of Illinois Worker’s Compensation laws. A lawyer working on your behalf can determine your eligibility for medical benefits, wage losses, and rehabilitative assistance to ensure you can heal completely, when possible. Rosenfeld Injury Lawyers LLC have handled thousands of cases involving Workers’ Compensation remedies in Chicago and throughout Illinois. We specialize in warehouse injury claims and lawsuits and offer our potential clients a free, initial consultation to discuss the merits of the case. Our law firm can review evidence, speak to eyewitnesses and provide legal options on how to proceed. In addition, we will evaluate the case to determine if there are other third parties that might also be at fault for causing your injuries. If other parties are also responsible for the accident or injury, you may be able to file a work-related injury lawsuit for additional financial compensation. Our personal injury law firm provides our legal services on a contingency fee basis. This means our legal staff is only paid after we have negotiated an acceptable out of court settlement on your behalf or have won your case at trial after providing facts and evidence in front of a judge and jury. If your loved one died because of an accident or incident while working for Amazon, you and other surviving members of the family are likely entitled to receive financial compensation to cover related medical bills, funeral and burial expenses, emotional distress, mental anquish, pain, suffering and loss of consortium and future income that your loved one would have earned.